At yesterday’s Library Symposium at Poets House I spoke with Nancy Kuhl, poet and Curator of Poetry for the Yale Collection of American Literature at the Beinecke Rare Book and Manuscript Library, and Kevin Young, poet, professor, and Curator of Literary Collections and the Poetry Library at Emory, about collections, curation, and communities. We each read a short prepared statement, then had a really lovely discussion. I was so enthused — and moved, actually — by how many concerns and fascinations resonated throughout our work. While Manguel’s article ruffled some feathers – it felt insensitive, nostalgic, elitist, too prettily poetic – I’d say his typology is fairly capacious. Our various species of library – public libraries and private libraries, medical libraries and poetry libraries, school libraries and law libraries, state libraries and perhaps even seed libraries – can be said to serve this triple-role: memory-preservers, navigators, and cultural symbols. Yet each of these varieties has a slightly different genetic makeup, a different ecology it has to operate within, a different morphology and set of characteristic behaviors; each is a geotypical and phenotypical variation of the species. For the past fifteen years or so one of my primary research interests has been libraries, broadly defined: public and private libraries and archives; special collections, including poetry libraries; “little libraries” and library art; the design of library buildings and archives; library logistics; how libraries reconcile their roles as both information spaces and public spaces; how they serve as intellectual infrastructures and techno-spatial infrastructures. One of the challenges – not only for me, but for all those who study, plan, administer, and work in libraries – has been to determine what defines a library, and what its proper roles are, in an ever-changing landscape – one marked, particularly in the past several decades, by dramatic technological, political-economic, and cultural changes. In an article I published last summer, I looked at the variety of informational and social roles that public libraries, in particular, have taken on. As much as their diversifying program has presented challenges of operation and identity, it’s also a testament to their continued cultural resonance: our libraries, as this self-selecting group here today has likely heard often, are among the few remaining free – and freely accessible – public spaces in our privatized, commercialized towns and cities, increasingly operationalized and surveilled by proprietary data-driven networks. That the intellectually hungry or the otherwise disenfranchised should be drawn to the library indicates that these “symbols of our identity” still represent the common good. Yet, in that article, I also wondered just how far we can stretch the notion of a public library. I asked, ‘Should we welcome the “design challenge” to engineer technical and architectural infrastructures to accommodate an ever-diversifying program — or should we consider that we might have stretched this program to its limit, and that no physical infrastructure can effectively scaffold such a motley collection of social services?’ These are the questions confronting those who bristled at Manguel’s romantic notion of what a library should be. Yet archives and special collections, like poetry libraries – even if they reside within a public or university or other larger institutional library – function within a different ecology. That’s not to say that they can’t, or shouldn’t, regard the broader library public – including recent immigrants, the unemployed, the homeless, the teenagers or seniors with no one to go home to – as their publics, too. But special collections are, well, special – as Nancy and Kevin and anyone here at Poets House can attest. 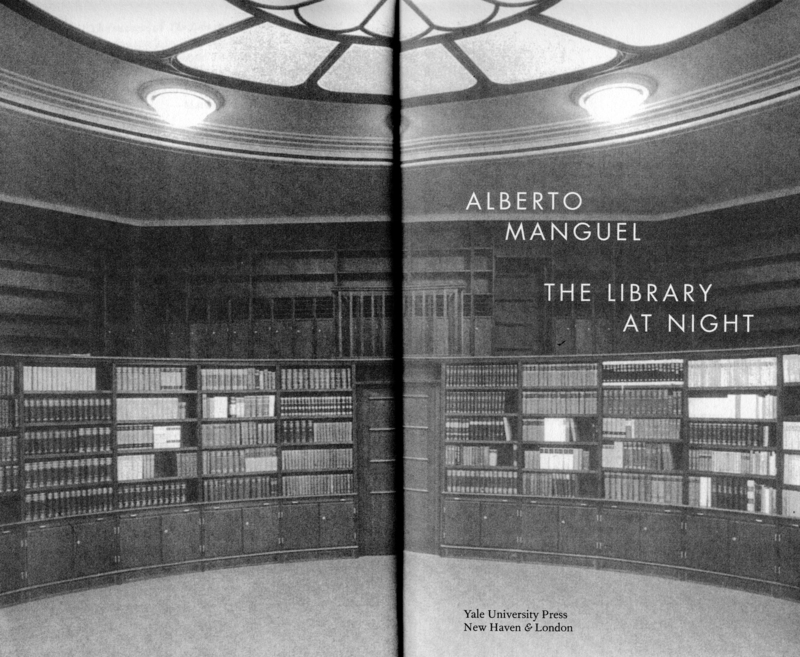 On many college campuses, where administrators are often choosing to move the bulk of the book collection off-site, and to repurpose the stacks as group-study rooms, or maker-spaces, or gyms, many librarians are effectively making the case that their special collections are among their most precious and publicity-worthy resources. It’s typically the special collections that embody an institution’s core values and encapsulate its history, as at Smith College, for example, with its strong women’s history collection; or Harvard, with its Woodberry Poetry Room; or the myriad historically-black colleges and universities holding the papers of key figures in African-American history. Lots of libraries are giving pride-of-place to their special collections and acknowledging the importance of aesthetic experience in the special collections library. These curated collections and their curators, in their intelligently designed spaces, play a critical role in cultivating communities of readers and scholars – and makers. Several years ago I wrote about the renovation of Harvard’s Woodberry Poetry Room, which has become home to a variety of programs in which the collection is activated. When poet Christina Davis, formerly the Publicity and Marketing Director here at Poets House, became curator of the room in 2008, she introduced group listening sessions and a works-in-progress series, among other events. When these open events are not in session, the uses of the room range from “quiet study, perusal of literary magazines, the research of rare material (broadsides, manuscripts, chapbooks), listening to archival recordings,… and (yes) writing poems…. The latter is, to my mind,” Davis told me, “the surest sign of the success of the room: It means that scholarship and the art-form it hopes to perpetuate have come full circle.” Of course Poets House espouses the same philosophy. Special collections, with their programming and their curators’ singular expertise, are among libraries’ most distinctive offerings – offerings that can’t be outsourced or replicated online. With the material diversity of their holdings, their integration of performance and generative activity, and their cultivation of community, special collections – like poetry libraries – show what it means to take full advantage of the library as a place – a place that is activated space. consciously from an intellectually strong institution that recognizes its exemplary role, and teaches us what books can do: show us our responsibilities toward one another, help us question our values and undermine our prejudices, lend us courage and ingenuity to continue to live together, and give us illuminating words that might allow us to imagine better times. Seen in this light, we might say that all those resume workshops and voter-registration drives and homeless services become a natural extension, an enactment, of the lessons our great books teach us. These supposedly superfluous acts of public service embody the capacious etymology of the term poetry, which embraces myriad forms of making, composition, and creation. If reading novels and poems cultivates empathy, libraries translate that empathy into care. Libraries take up our social scientists’ calls for justice. They take the lessons of those great books and use them not only to imagine better times, but to make a place of exception governed by social responsibility and philanthropy and poetry, in all its myriad manifestations.